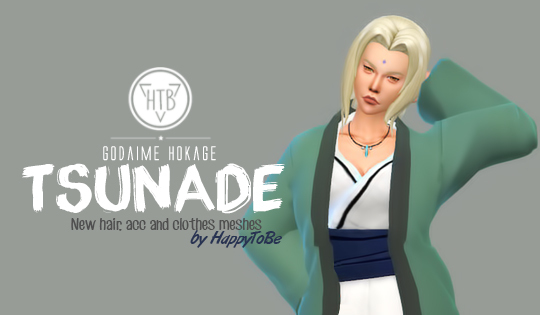 Después de mucho tiempo de inactividad he retomado el camino del ninja y he decidido hacerlo con uno de mis personajes favoritos de Naruto: la Quinta Hokage, Tsunade. 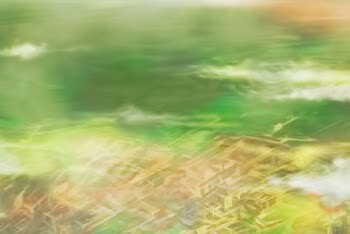 Estoy un poco verde después de tanto tiempo sin trabajar con meshes de EA, asi que disculpad que la capa tenga errores visuales. Seguiré trabajando para arreglar estos errores y hacer el sombrero y la capa de Hokage. 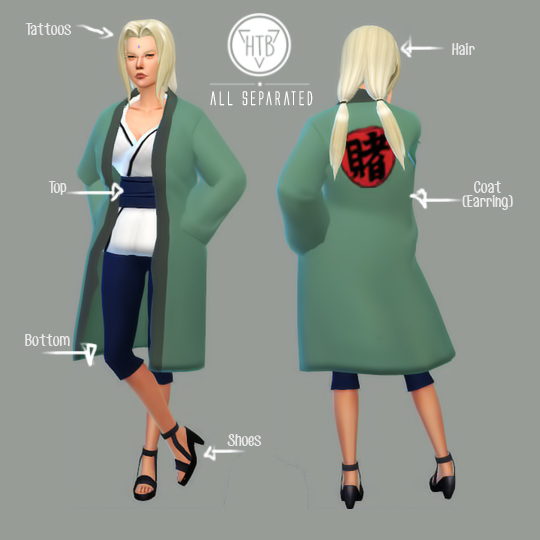 After a long time of inactivity I have returned to the ninja's path and I have decided to do it with one of my favorite characters from Naruto: the Fifth Hokage, Tsunade. For me it has been a bit difficult for so long without working with EA meshes, so sorry because the coat has some visual errors. I will keep working to fix these mistakes and make the hat and cape of Hokage. Hello, I am really very very happy to see you again, because I really like your cretion sims 4 Naruto.